Adora Girard, Madeline Epstein and MacKenzie Hobbs enjoy walking laps. 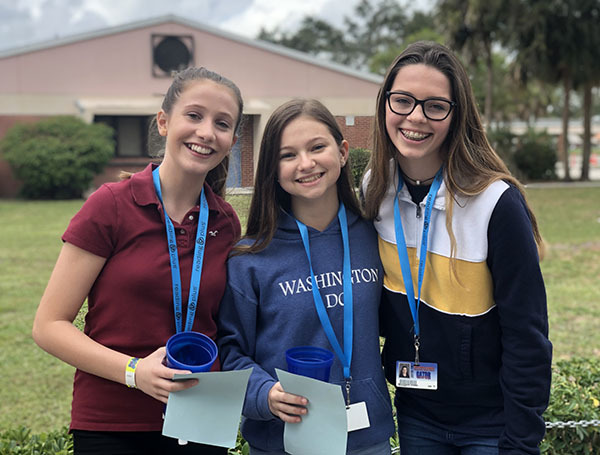 Wellington Landings Middle School held its annual walk-a-thon on Thursday, Jan. 31. Approximately 900 of the school’s 1,350 students participated in the event and had a great time. Approximately $20,000 was raised to continue to update technology at the school. PTO members, volunteers and community sponsors, including radio station Wild 95.5, were instrumental in the success of this annual fundraiser.